← You are invited to join our Advent Project! Looking for a Christmas card this year? 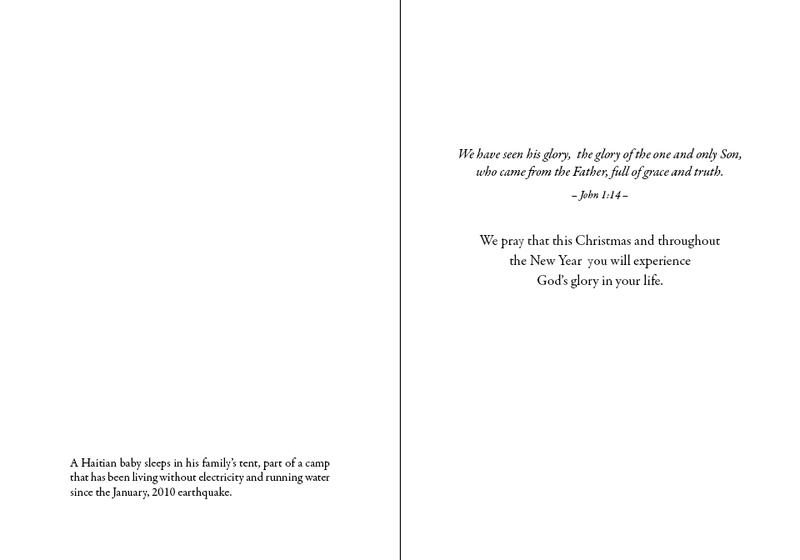 We have Felician Haiti Mission Christmas cards available. 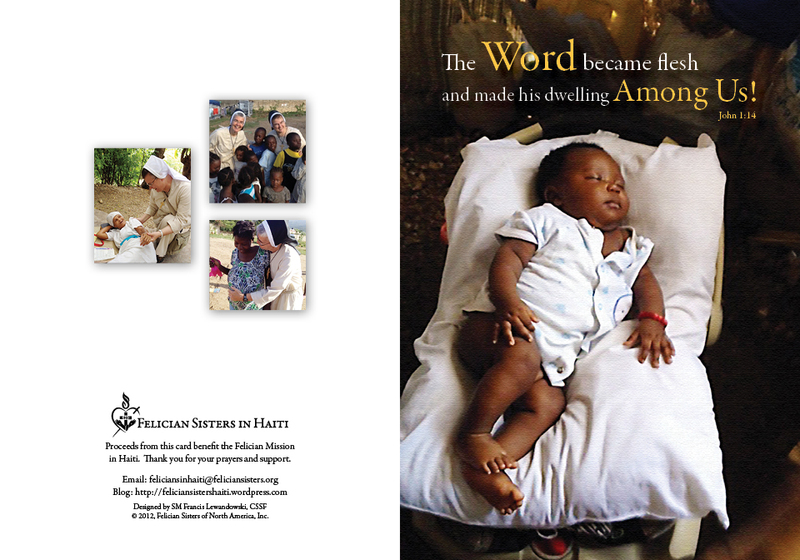 For a donation of $20.00 you will receive 10 Haiti Christmas cards (see below). These cards can also be offered in your parish or ministry with all proceeds going to support the Felician Haiti Mission. To order packets of cards, contact the Felician Sisters Publications Office at: communications@feliciansisters.org. Please note: the Christmas cards are available in Polish upon request. If you have any questions, contact the Publications Office at 734-742-2131 or by email. We are grateful to Sister Mary Francis Lewandowski, CSSF, Director of Internal Communications and Felician Publications who designed our card.